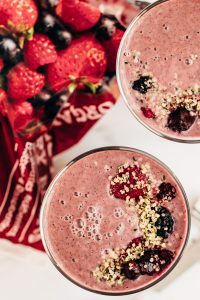 A protein packed vegan breakfast berry smoothie packed with chia and hemp seeds. This is a great and filling breakfast for anyone on the go. Only three ingredients and a blender required. Plus, learn a thing or two about frozen fruits and why they’re a great addition to any vegan diet. Friday Features 01 – Every Friday we spotlight a product, a person, a business.. 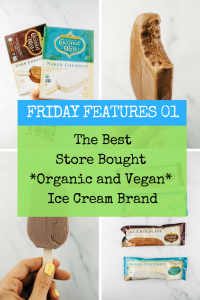 In this episode of Friday Features we are featuring the ‘Best Store Bought Organic and Vegan Ice Cream Brand’. Come learn what is our favorite ice cream brand and why we think it’s the cleanest and healthiest treat out in the market today.